QT Equipment helps you get the equipment you need for a short term rental basis through its sister company, Red Diamond Rentals, LLC. Term: Typically a 6 month minimum with renewal options. 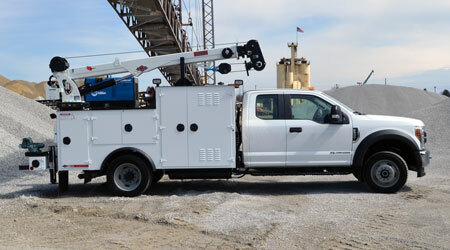 Equipment Available: We will rent almost anything we build (Service Trucks, Lube Trucks, Articulating Crane Units) as well as a broad range of other custom work truck equipment. Equipment Condition: We typically rent new units. We occasionally have used units in good condition for rent depending on inventory availability. Rental Geography: We can rent anywhere in the Continental US. Unfortunately, we cannot rent into Canada, yet. Call Doug Root at 330-724-3055 to discuss rental options for your project.